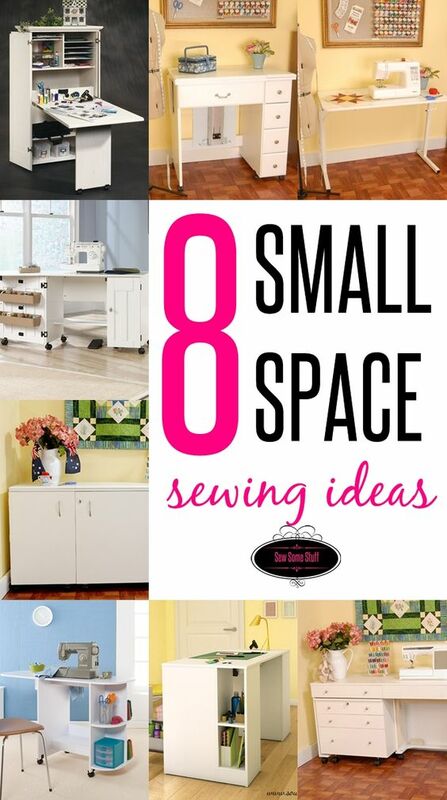 In this post, I’m sharing some amazing Fabric Storage Ideas for Sewing Rooms and sewing corners. 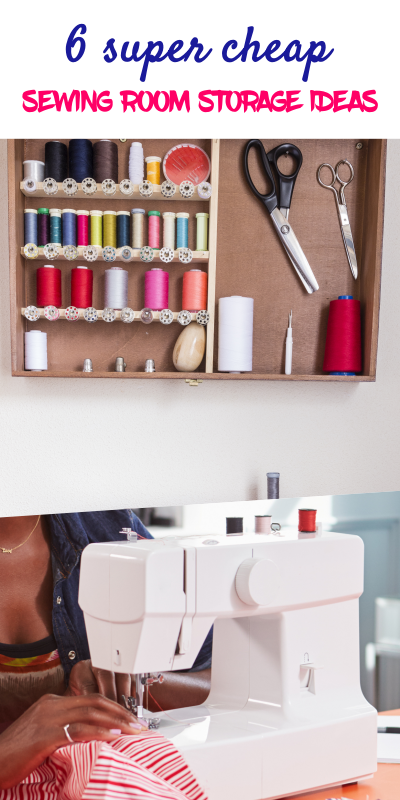 These fabric organization ideas are perfect for any kind of sewing room and are some of the perfect storage for sewing rooms. 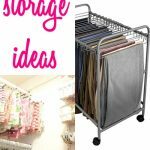 Fabric storage can be a problem if there’s no space but with these sewing room fabric storage ideas, you can store your fabrics however you like. 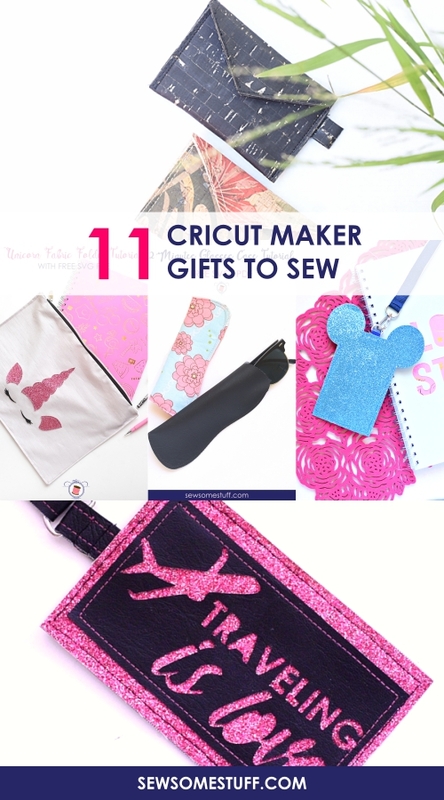 It’s a lazy Tuesday afternoon, kids are at school, you have ample free time, so, you decide to sew that super cute crossbody bag using the pattern you just bought. 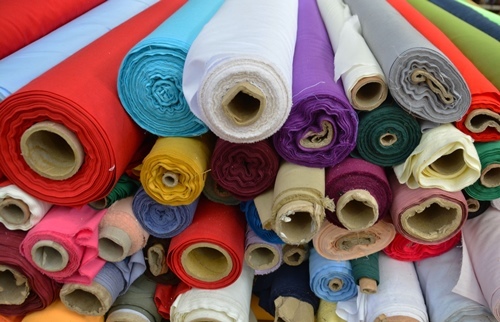 Choosing the RIGHT fabric! It’s like a time-sucking vacuum. I know this because it is ONE thing on which sometimes I end up spending minutes and minutes on. Yep. And, it just gets WORSE if the fabrics aren’t ORGANIZED. Allow me to make things easier for you. 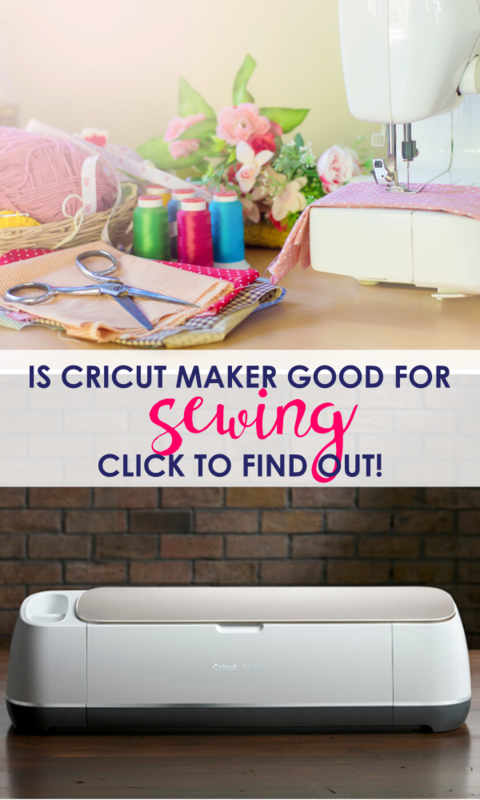 Here are some great fabric organization ideas that you can easily incorporate into your sewing room to make your next fabric picking task smooth. 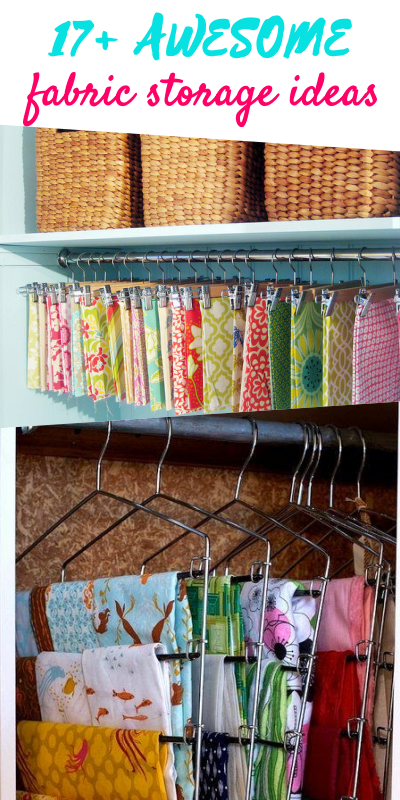 These fabric organization ideas can easily be adapted based on the size of your sewing room. 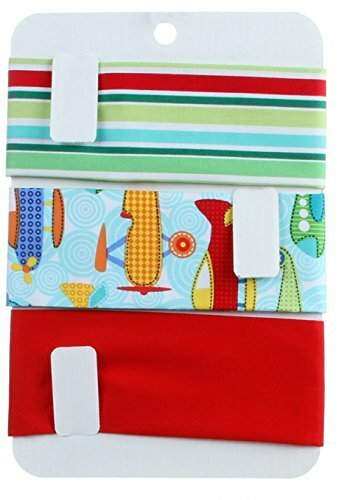 You can either pick one of these fabric storage ideas or use a combination of them all for organizing your fabric stash. 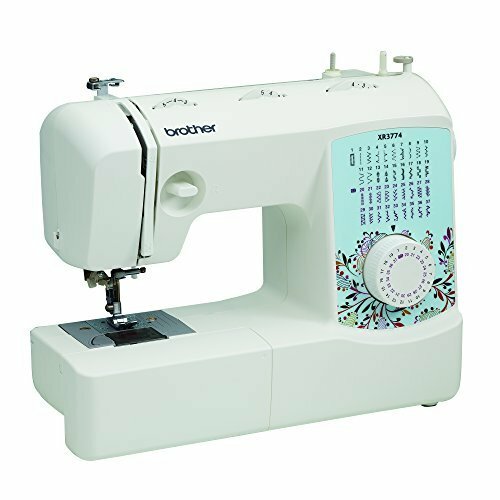 There are several different furniture and tools that you can use to store your fabrics in the sewing room, ranging from a file cabinet to a bookcase or even a trolley for pants. Below you will find all of these interesting ideas along with examples on how to use each of them. Let’s get started! 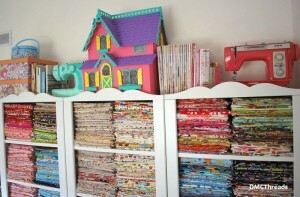 First is the easiest and most common method of organizing fabrics which is using a bookcase. 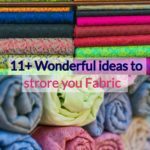 You can purchase several of these to store away your fabrics neatly. Depending on the size of your sewing room/sewing area you can go for very tall bookcases that go as high as the ceiling or you can just buy the short ones if you have lots of sewing space. 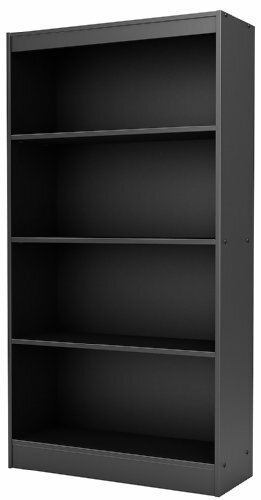 ➡ This bookcase is Amazon Best Seller and is available for Prime shipping. 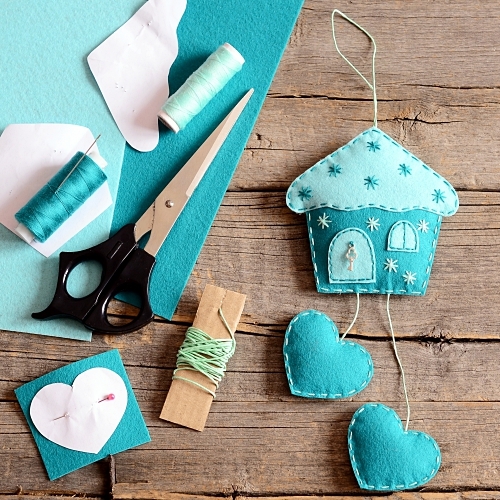 To make sure your fabrics don’t mess up, you can roll the fabrics around a cardboard. 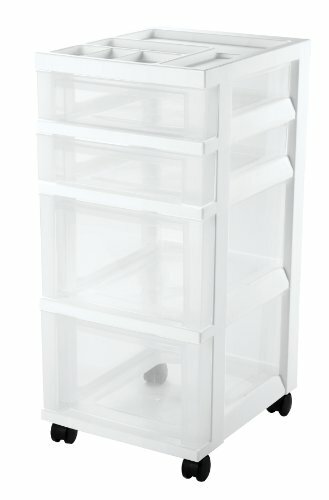 You can easily get a cheap bookcase on Amazon or maybe if you’re lucky you might spot one on your next thrift store trip. 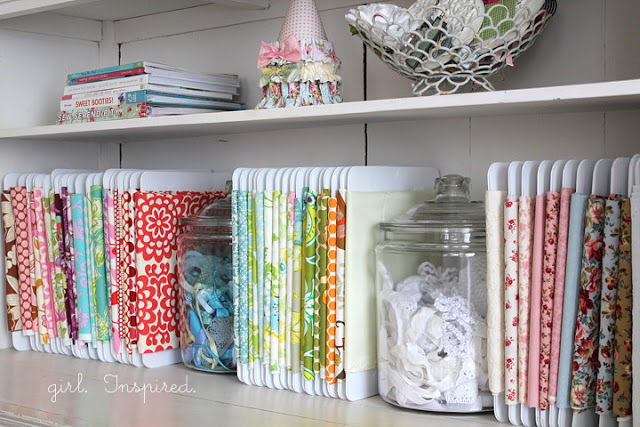 Here are some amazing fabric organization ideas using a bookcase. 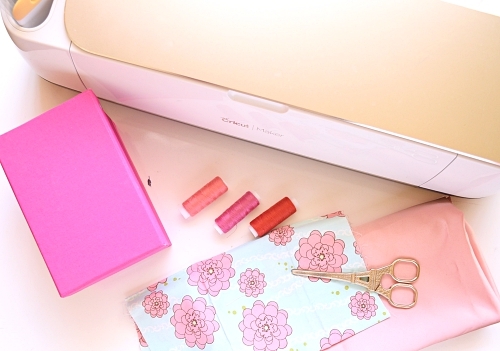 Check out how Stef from Girl Inspired used these special fabric organizers to sort out her stash below. 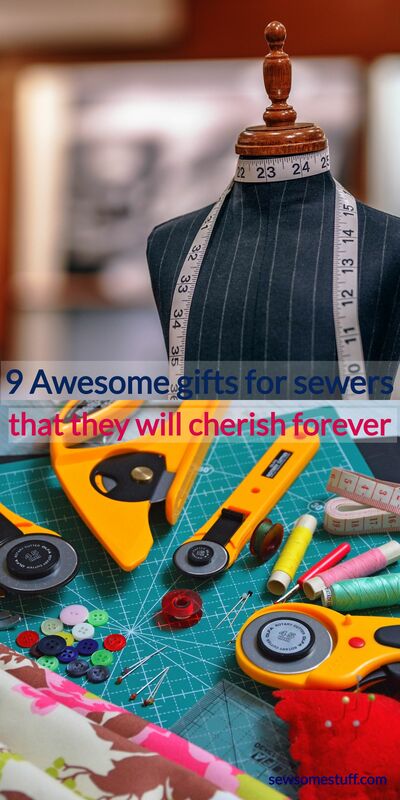 CLICK HERE to get one for yourself. 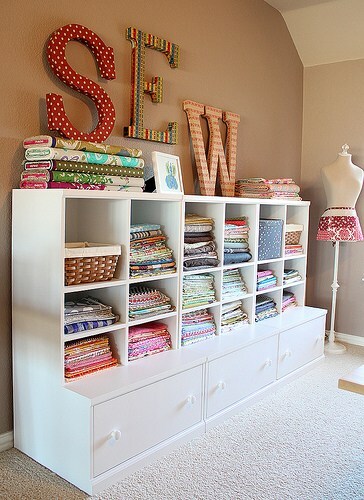 File cabinets can also come in handy for organizing sewing fabrics. Who knew right? 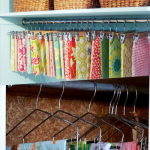 You can easily get one of those from a thrift store and paint it the way you like to make a gorgeous fabric storage. Or order this one at a super affordable rate from Amazon. 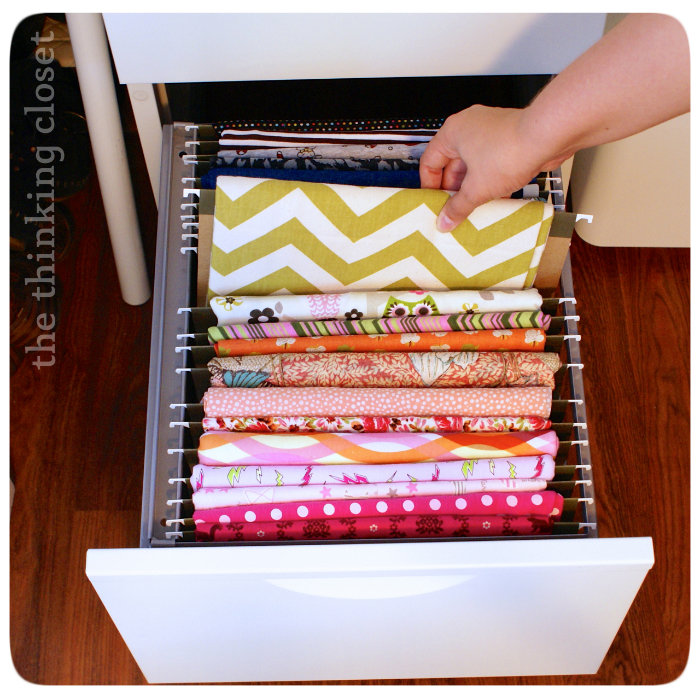 Here are some Fabric Storage Ideas for Sewing Rooms using a file cabinet. 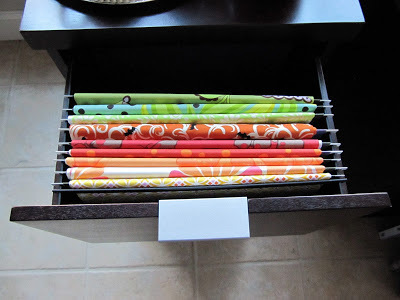 If file cabinets are way out of your budget, don’t worry I have another great fabric storage idea for your sewing room. Which is using plastic drawers. You can easily find a lot of them on Amazon. Click here to check them out. ➡ This plastic drawer is the best seller on Amazon. 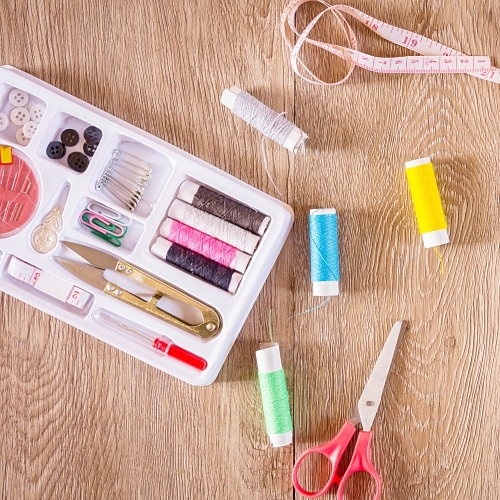 Now, a normal plastic drawer might just look downright ugly and may not go with the look of your sewing room but, don’t worry you can always customize it. 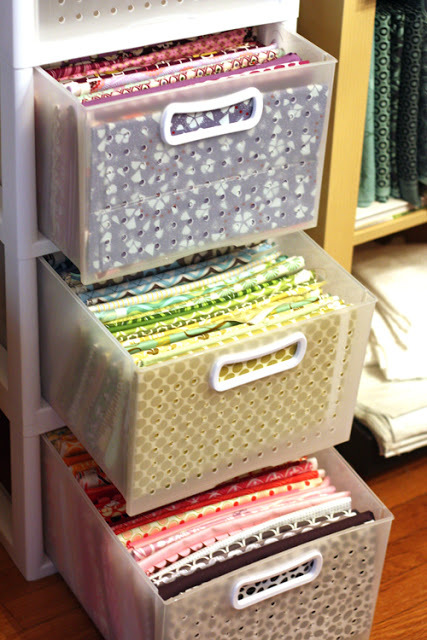 Here’s a great example of how to use plastic drawers for storing fabrics. Get Part 2 on the next page. 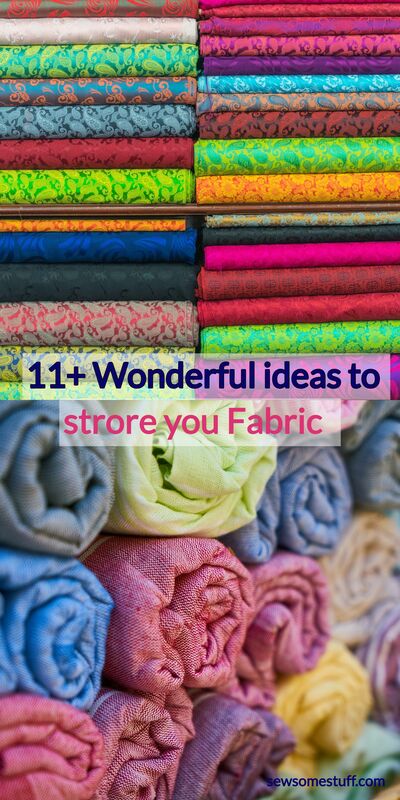 These are really awesome but not if you’re storing LOTS of variety of fabric. I’d be broke! I’m using the comic book archive inserts which work nicely too. 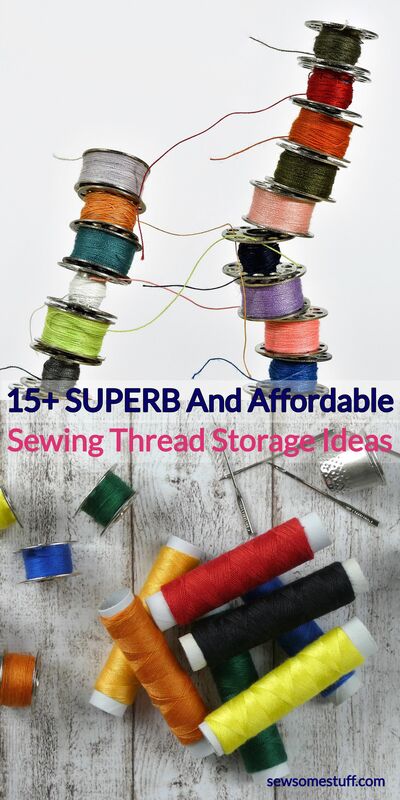 Hi, just doing up my Sewing floor… and have started with the storage area….. I have half a room full of fabric, Just wondering what comic book archive inserts are. 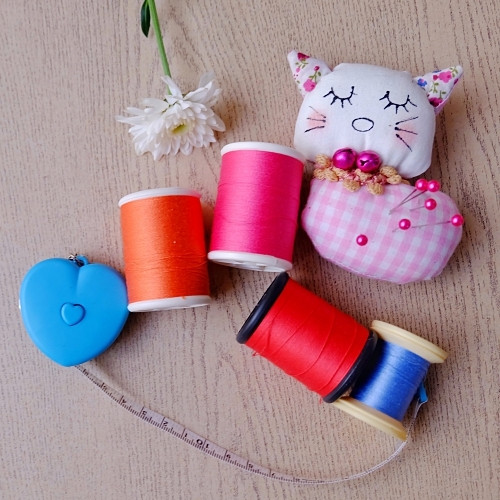 I make clothing so the thickness of the fabric often varies too….help…. Stacey, comic book inserts are made for collectors to help store and preserve their comic books. Amazon carries them. They’re so inexpensive they’re sold in quantities of 100. I also bought plastic gizmos that resemble bobby pins to help me keep the folded fabric intact. I’m not yet a neat folder – perhaps with practice….